Started off as a crazy idea at 3 am, and turned into a pretty OK deck. Kaiju and Aleister have a surprisingly good amount of synergy with each other-- Kaiju need a first turn play and can fit in a power normal summon and Aleister likes having a variety of attributes and types to play with. Aleister and Mekk-Knights are strong together as always. 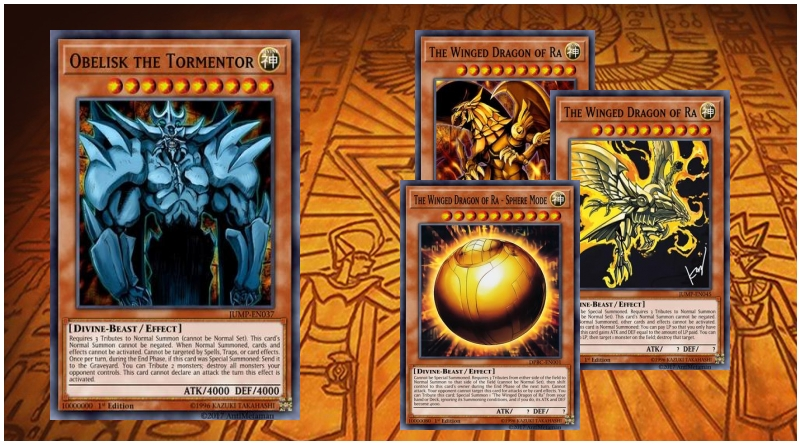 Kaiju can help ensure that a column has 2 cards in it for the Mekk-Knights' special summons. 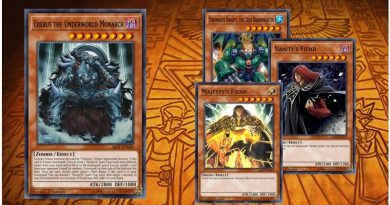 Because Kaiju and Mekk-Knights don't have extra deck needs, Aleister can use his invoked minions to his heart's content. While this deck can brick going first, if you manage to search or draw into Aleister and Invocation you'll usually be able to go into something useful. Because the deck has mostly 3 copies of everything you can use Pot of Desires without too much issue. 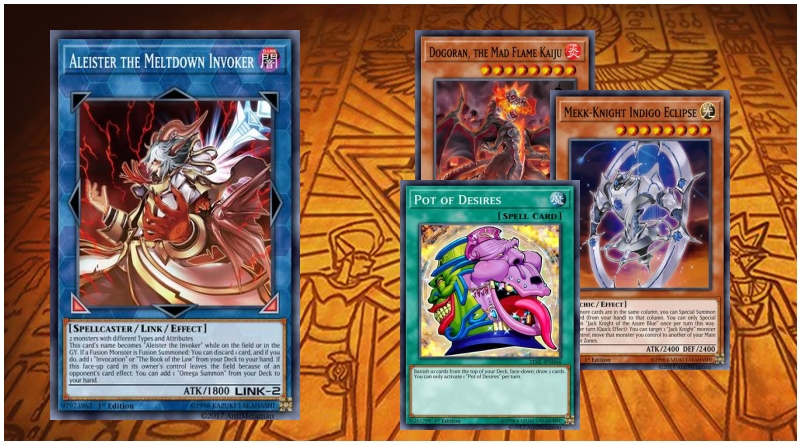 If you can you really want to Aleister's link monster right away so you can recycle your invocation and get multiple fusions on board. Getting into Number 38 and Mechaba gives you some solid negation and protection. 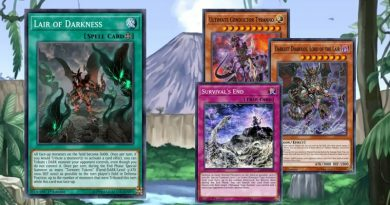 The extra deck has at least a copy of every attribute Invoked fusion so as to potentially deal with your opponent's troublesome mosnter effects in the graveyard, but can be sided out for some Galaxy XYZ monsters if that's your thing. Speaking of the side deck, Droll and Ghost Ogre can be sided in if you like them more than Ash or Impermanence. I touched on the XYZ monsters already. Owner's seal and the copy of Kyoto Waterfront can be put in for some more Kaiju-centric trolling but I find that it either works REAL well or it fails hard. If you like kaijus almost as much as I do sub them in for the Mekk-knights. Called by the Grave is there if you find yourself in a set against a negation heavy opponent as this deck has a little bit of trouble recovering from an inopportune Ash Blossom. 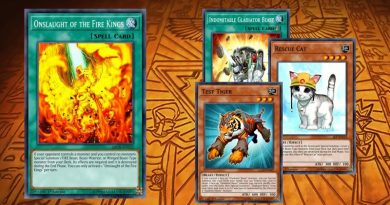 Overall, this is probably the best variant of anything resembling a Kaiju deck (RIP Kaiju Sulmber... :( ) and three three engines give this deck a suprising amount of versatility and manage to stay out of each others' ways. I hope you enjoy this deck!